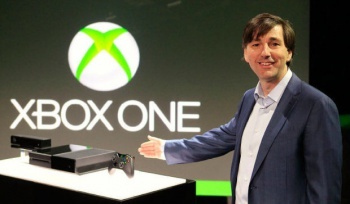 Germany's Federal Data Protection Commissioner has some very harsh words about the intrusive potential of the Xbox One. If you've been paying any attention at all to the Xbox One sideshow you'll know that motion and voice-based controls are a big part of the action. "Xbox on," you say, and it fires up, and then you grab and stretch and swipe and twist and do the hokey-pokey, because that's what it's all about. But in order for a system like that to work, it has to be listening, even when it's not active, and it has to be watching you - and that, combined with Microsoft's enthusiastic commitment to "the cloud," has a distinctly Orwellian ring to it if you look at it in the right light and let your mind wander. It's on-the-fringe stuff, but it's not just conspiracy-theory kooks who are thinking about it: Peter Schaar, Germany's Federal Data Protection Commissioner, described the Xbox One as a "monitoring device" in a recent interview with Spiegel. "The Xbox continuously records all sorts of personal information about me. Reaction rates, my learning or emotional states," he said. "They are then processed on an external server, and possibly even passed on to third parties. Whether they will ever be deleted, the person can not influence." Given its history, the German collective consciousness may be a little more sensitive to the potential intrusiveness of devices like this than most, and Microsoft recently sought to allay fears about the unit's spying potential, telling Kotaku that it can actually be turned "completely off" via the manual power button and that it will offer "simple, easy methods to customize privacy settings [and] provide clear notifications and meaningful privacy choices for how data will be used, stored and shared." "We know our customers want and expect strong privacy protections to be built into our products, devices and services, and for companies to be responsible stewards of their data," the rep said. "Kinect for Xbox 360 was designed and built with strong privacy protections in place and the new Kinect will continue this commitment. We'll share more details later." The "share more details later" approach to the Xbox One is a big part of why privacy advocates and consumers are so concerned about the potential for trouble; Microsoft is so desperate to control the message that it's refusing to provide any sort of clear, useful information about the system, leading to all kinds of wild speculation. Yes, it can be turned off - in one way or another, anything that relies on AC power can - but will most consumers bother with that, especially after they've grown used to the thing sitting, idle but on, above their screens? UPDATE: The Google translation of the original Spiegel article (and the Bing translation as well) is rough and easily misinterpreted, and Schaar's comment about the Xbox One representing a "twisted nightmare," which I read (and has been widely reported) as a doom-and-gloom scenario, may be, and very likely is, an expression of the unlikelihood that Microsoft will actually be watching every move you make. Because of that ambiguity, and the lack of anyone immediately at hand who reads German, we've removed reference to the comment. Thanks to Dexter111 for bringing the issue to our attention.